Heat 1 tbsp oil in a pan over high heat until hot. 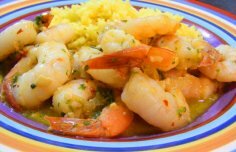 Add half of scallops; cook 2 minutes on each side or until browned. 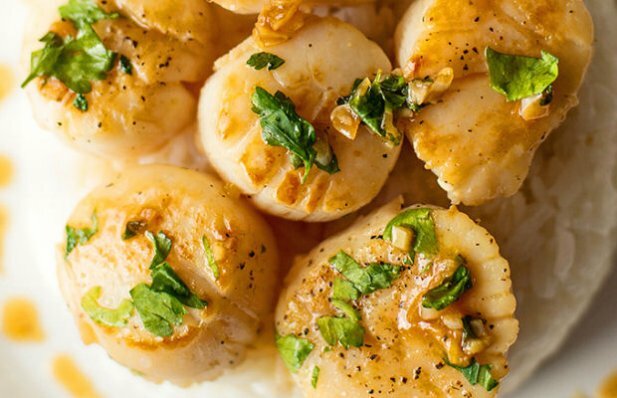 Remove scallops from pan; keep warm. Repeat procedure with the remaining scallops. Stir in port wine and lemon juice, scraping pan to loosen browned bits. Add back the scallops, 2 tbsp parsley, and garlic; sauté 30 seconds over high heat. 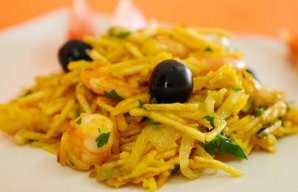 Serve this delicious and quick to make Portuguese shrimp with potato sticks (camarão à bras) with a salad. 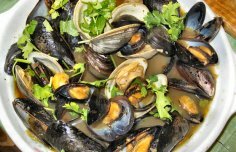 How to make Portuguese style mussels.